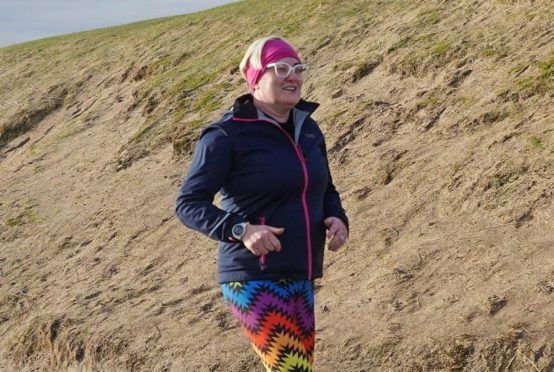 A north-east woman inspired by a meningitis survivor is taking on this year’s London Marathon. Louise Urquhart, of Stonehaven, was so moved by the story of her friend Sophie Macdonald that she decided to take on the challenge. She also aims to raise awareness and funds for charity Meningitis Now, who supported her friend when she was ill.
She said: “This will be one of the biggest challenges I have ever done, but when I think what Sophie and her family have been through over the last seven years, it seems very little in the grand scheme of things. The 40-year-old had completed 37 items from her 40 before 40 list, but had to drop out of taking part in a run due to an ankle injury. Miss Urquhart was working in a shop alongside Miss Macdonald’s brother Ben and got to know the family. She learned that Miss Macdonald was struck down by meningitis seven years ago, having woken up in agony after going to bed with what she thought was a common cold. Doctors told her she would make a full recovery, but the 29-year-old has spent years toiling with chronic pain, seizures, sleep deprivation and exhaustion. 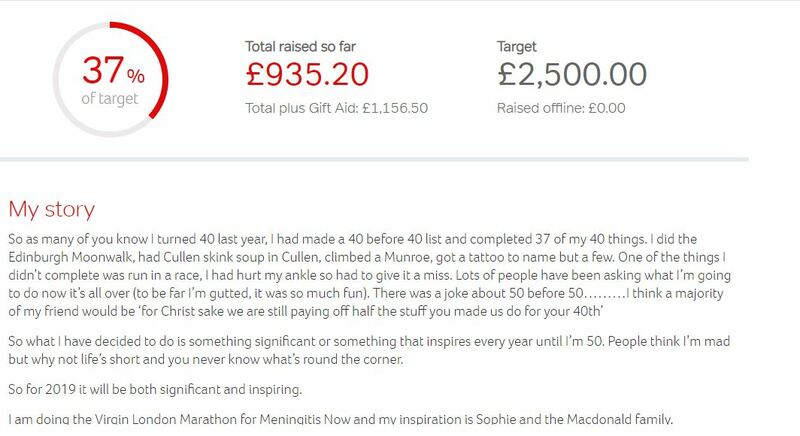 During that period, she has managed to raise nearly £25,000 for Meningitis Now towards their work. And now Miss Urquhart is looking to support her efforts through her own challenge.